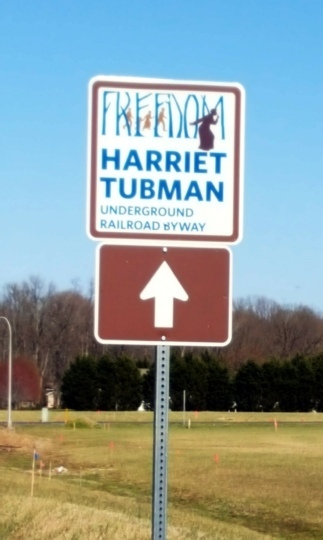 The Harriet Tubman Underground Railroad Byway (HTURB) corridor is approximately 98 miles in length traveling through the State of Delaware. 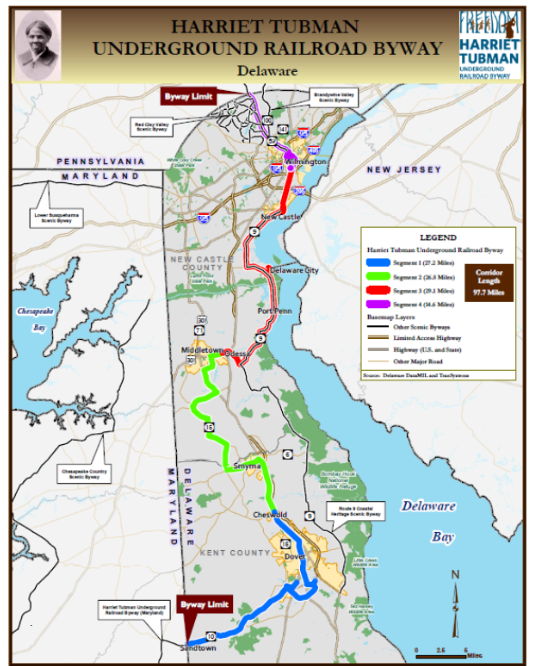 The byway travels from Sandtown where it meets the terminus of the Maryland Harriet Tubman Underground Railroad National Scenic Byway in the southwestern part of Delaware, north to Wilmington, and beyond to the Delaware/Pennsylvania border. The corridor passes through the communities of Sandtown, Camden, Dover, Smyrna, Clayton, Townsend, Middletown, Odessa, Port Penn, Delaware City, New Castle, Wilmington and Centerville to name a few. The Tubman Byway is one of six Delaware byways and is designated a Delaware historic and scenic roadway. Travelers can enjoy Delaware’s natural beauty while visiting historic sites along the byway corridor. Delaware Byways signs pointing out HTURB roadways are being replaced by the new Byway signage illiustrated above. The new signage will be installed along the entire byway in Kent and New Castle counties. Follow these signs to historical sites and points of interest along the Harriet Tubman Underground Railroad Byway.